Not be able to enter a trap to be captured because of an inability to fly or crawl into the trap due to its design. 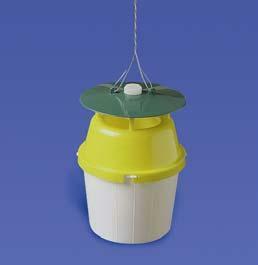 For example – using a suspended hanging trap for monitoring when your main pest is a beetle that rarely flies. Be able to escape the trap once it enters because of the design. For example – using a glue trap that has only a thin glue surface to try to capture rodents or large insects that can easily pull themselves from the glue once they enter the trap. The result of both of these is a monitoring program that is not actually collecting the type of data you require. The size or capacity of the trap may also be a factor in your choice if you plan to do mass trapping. Before deciding on what style of trap to use, put some thought into what type of pests your facility has seen in the past. If you only have the budget for a single trap style, pick one that can capture both crawling beetles and flying moths. In general, if you want to see what insect pests may be present in a storage or exhibit area and you have no idea of what may be there, you will want to use a simple “blunder” glue trap. The term “blunder” comes from the fact that you are not using any attractant lure and you will capture whatever insect blunders into the trap. 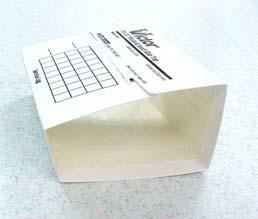 These traps are generally paper traps that lay flat on the ground or shelf and that have a thin glue layer (1 mm or less) that will trap most insects that wander into it. 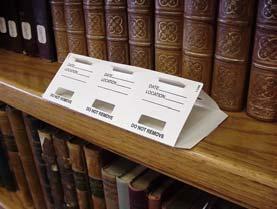 Some blunder traps are only 2- 3 inches long and can be placed discreetly in exhibits to monitor these areas. This style of trap can also be used in conjunction with most moth and beetle pheromone lures or food attractant lures to monitor for specific pest species. Not all monitoring traps incorporate glue as their trapping mechanism. 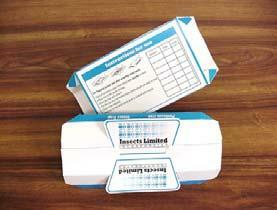 Pitfall traps and funnel traps use gravity and non-friction surfaces to keep pests enclosed in the trap. Electric light traps stun or explode the pests that enter. Trapping rodent pests can incorporate another range of both lethal and non-lethal mechanisms such as snap traps, wind-up trigger traps, glue traps, and lever-style traps. Proper trap selection comes down to knowing what is available, testing what works, and making an informed decision based on the environment and the pest. Don’t be afraid to change trap styles if the one you are currently using is not performing well. This trap style works well to give an indication of what crawling insects are passing through an area. Not to be used as a rodent trap. Not useful in areas that collect substantial dust. The particular style of trap pictured here is perforated and can be divided up into three smaller traps. There is a border zone around the sticky glue on the two outer traps but none on the middle. Place these traps far enough away from collections to prevent them from getting stuck. Thick glue layer can trap rodents and large insects. 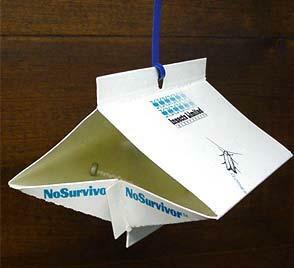 This trap will also capture smaller insects but not recommended for pheromones. Efficacy may decrease in areas with substantial dust. Hanging trap to be used indoors with pheromone lures for strong-flying moths and beetles only. Hanging trap to be used indoor or outdoors with pheromone lures for strong-flying moths and beetles only. Corrugated plastic exterior helps keep out rain. A pheromone lure hangs directly above the catch area of this trap. As moths or beetles fly to the lure, they land on the slippery surface and fall into the lower catch area. These traps are ideal for mass live capture.